Jung Yi Hyun (Sung Yu Ri) is gifted with a genius level IQ and has a good education. But when she happens to have retrograde amnesia, she loses ten years of her memory, from age 17 to 27. She's also unable to remember her husband Hong Kyung Doo (Yoo Joon Sang), and their genius daughter Hae Deum (Kal So Won). Confused by why she had married such an unsuited man, she'd forgotten that they'd met and fallen in love at the brink of their suicide attempts. 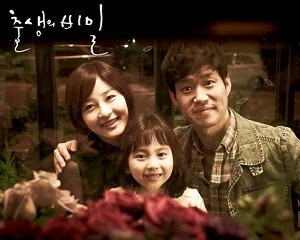 Although her husband Hong Kyung Do is poor and uneducated, he is a good husband and a loving father. He will help her regain her memories and make sense of their life together.